Indrajala wrote: If there is money to be made, then discipline is easily lost to opportunism. You can get a Lama to go to a foreign country, pay for their expenses and then ask for any teaching you want. Where is the discipline when you are basically hiring a guy to give empowerments? Making material offerings to a teacher and/or paying for their travelling expenses so one can receive teachings is neither a new, nor a particularly Western, phenomenon. gregkavarnos wrote: Making material offerings to a teacher and/or paying for their travelling expenses so one can receive teachings is neither a new, nor a particularly Western, phenomenon. I'm simply saying that the idea of secret and sanctity in respect to teachings is problematic when we consider how you knowingly pay for a certain teacher, who is well known to be an adept in a given practice, to come and teach people who all know what they're aiming to get. In today's world you get them on a plane and make advertisements for X empowerment to be given. Where's the secrecy and discipline in that? "You should examine students before they receive spiritual teachings to ascertain whether they are suitable recipients.You might impose a difficult task , or criticize them with words that cut to the heart or determine whether they lose faith when your conduct contradicts their expectations, or say, " I want this or that possession" and see whether they are able to relinquish it .If they are not suitable recipients, they will give up because they lose their faith or are too fond of their possessions. Since there is no possibility of their being benefited or being equal to the samaya involved, you should understand that it is best not to be connected with such people. 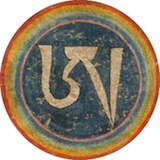 If , on the other hand , they maintain their faith and are open-handed, you can take these as signs that they have some karmic connection with you from previous lives.So even though you have no need for their possessions, you should accept these in order to perfect their spiritual development.The value of this lies in the auspicious connection between master and student not going awry." "So the teachings are kept secret not because they are ignoble.Rather, they are kept secret to prevent others from reinforcing negative karma and to avoid impairing the dharma's greatness: there is no fault in maintaining secrecy. The actual way to maintain secrecy , applies to the three kinds of people discussed earlier-ordinary people, those who are small-minded and those who divulge secrets. Even if people who have heard rumours of them ask you, I would advise you to maintain secrecy and reply, " I'm not sure", or " Not having practised them, I have no idea." "
Indrajala wrote: Where's the secrecy and discipline in that? You've obviously never organised an empowerment for fellow vajra brothers and sisters. Plenty of empowerments are advertised online with an open door policy. They happen in Nepal and India, too. I know there are ones that are done in private, but the idea of secrecy and the sanctity of it all clearly isn't that strong. Konchog1 wrote: If you try to do [Completion Stage practices] without proper preparation-which means a thorough grounding in the graduated path-and without a stable deity practice, you will lose your mind. I mean that quite literally. You really need to know what you are doing; otherwise all sorts of things can start to happen. If the energies move into a wrong area, moving them back again is incredibly difficult. There are many mediators who have gone completely crazy because that have not followed the practices correctly or tried to take shortcuts. All types of Mahamudra and Dzogchen are completion stage practices, still they are taught very openly and I doubt there were many who have lost their minds because of that. Or perhaps what was meant are specific wind related techniques? In that case, we're back to the subject discussed a few pages back. yegyal wrote: Again, I think it's a mistake to assume that you would even know about the things that are actually kept secret. Indrajala wrote: Plenty of empowerments are advertised online with an open door policy. They happen in Nepal and India, too. All sorts of things are advertised on the internet, if you do not have the predisposition to seek them it is unlikely you will ever encounter them. Somebody seeking out and being drawn to an advertised empowerment obviously has a connection (karma vipakka, yah know) or else they wouldn't bother. They would just be down at the pub knocking back beers with a few mates whilst watching the football and talking about chicks they wish they had "shagged". gregkavarnos wrote: All sorts of things are advertised on the internet, if you do not have the predisposition to seek them it is unlikely you will ever encounter them. Somebody seeking out and being drawn to an advertised empowerment obviously has a connection (karma vipakka, yah know) or else they wouldn't bother. They would just be down at the pub knocking back beers with a few mates whilst watching the football and talking about chicks they wish they had "shagged". Ah, but if people are only able to encounter Vajrayana teachings as a result of their past karma, then why do lamas need to restrict access to these teachings and act as the "gatekeepers"? The way you describe it, people's past karma is already the "gatekeeper," so it seems unnecessary to have other "gatekeepers." Indrajala wrote: You can go to Nepal or come to India and get any teaching you want if you ask around. There are plenty of Lamas out there who make a living from acting as a guru for secret teachings. In fact, it is easy to find a Lama who gives empowerments for a specific practice you have in mind. Everyone will know that he is the local expert in said field. There is nothing secret about it. The texts are easily obtained one way or another. If there is money to be made, then discipline is easily lost to opportunism. You can get a Lama to go to a foreign country, pay for their expenses and then ask for any teaching you want. Where is the discipline when you are basically hiring a guy to give empowerments? Getting empowerment's from someone you don't consider realized have very little value I think. Also, in my own experience is that it can be quite difficult to get teachings and empowerment's from your Guru just because you "want" it even if they agree to give it to you. But perhaps you have other Guru's than me? You're probably right. All the beans that there were to spill have probably been spilled by now. This was just speculation and a bit of wishful thinking on my part. And with that I think it's about time for me to stop talking about secrecy, as I've already said more than my share on this topic. It's been fun! Luke wrote: Ah, but if people are only able to encounter Vajrayana teachings as a result of their past karma, then why do lamas need to restrict access to these teachings and act as the "gatekeepers"? They don't. I, for example, am drawn to a certain practice but a teacher will be the one to assess whether I am ready to engage in the practice. This works in all walks of life. I may be drawn to formula one racing. I may even know how to drive a car. Does that mean I should immediately be given a formula one vehicle or should I go through a period of training etc... to ensure that I don't kill/injue myself and others the first time I press the accelerator? Shitloads of stuff. You cannot even begin to imagine how much more there is. gregkavarnos wrote: Shitloads of stuff. You cannot even begin to imagine how much more there is. That's good, because it seems the entire path is well described in several versions, plus all the open teachings and empowerments, consequently none of them are secret or restricted. Methods are great but a real Guru is a lot better. Adamantine wrote: It is not secret because there is something to hide, but in order to protect the practitioner from the pitfalls and downfalls that ego can bring to the practice. In particular, practitioners tend to fall prey to “spiritual materialism,” where their practice becomes just another fashion statement intended to adorn their egos and make them feel important, or have them feel that they’re part of a ‘cool’ social tribe, rather than to tame and transform their minds. 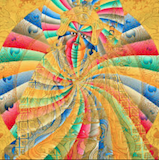 When practiced in this way, the Vajrayana path becomes worse than useless. This applies to me, so I can appreciate it. But as someone else said before, the ego can also feel like it's in a 'secret club'. Thankfully, I've been spared this delusion.